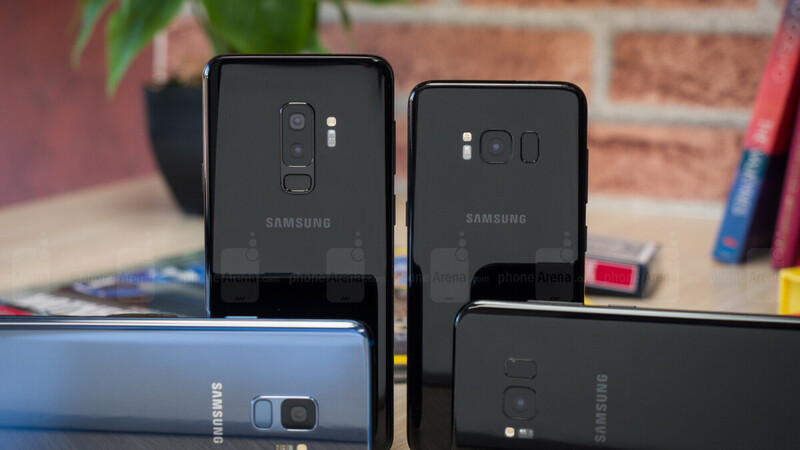 The Verizon, AT&T and Sprint versions of the Galaxy S9 and Note 9 have started receiving their Android 9 Pie update last month, exactly as Samsung promised. The US carrier models are even getting a slice of Pie before the unlocked version from Samsung's website in the US which is pretty cool (or sad, if you own one). Granted, Google released Android Pie back in August, and it has been 5 months before US carrier models got it but this is actually par for the course when it comes to software updates of the big Android brands on Verizon, AT&T or T-Mobile. We made a little table to show you how many months passed between the last two major Android releases, and the updates making it to US carrier phones. While those delays between the initial Android version release to Google's own phones and the rest of the manufacturing crowd are annoying, Samsung actually did a decent job here. It pushed a radically new One UI overlay and the latest version of Android rolled in one in a similar timeframe as before. That is no small feat considering what a poor Android maker has to do to get its software updates approved on US carriers. 3. The manufacturer and carriers then work to iron out any bugs or issues with carrier-specific software or network connectivity. When the app and settings' kinks are straightened up, they are sent to Samsung in a ready state to be included in the final firmware tailored to the specific carrier, and be pushed over the air to the Verizon, AT&T, T-Mobile or Sprint subscribers' phones when that procedure is ready. As you can see, there are a few extra steps involved compared to pushing stock Android to unlocked phones like Google does with the Pixels and some manufactures that went the stock route like Nokia, for instance. Fans love to rant how bad Samsung is with software updates, but it actually sits in the golden middle. In fact, Samsung is the only one of the top three Android makers that is listed in the AOSMark ranking of the best and worst manufacturers when it comes to major software updates. Bear in mind that the scores below represent an average, i.e. flagships like the Galaxy S9 just got a serving of Pie, and will most likely get a taste of Q, or whatever Google names Android 10, clocking in at least two major updates. The Galaxy A9 2018, on the other hand, which is scheduled to get Pie in April, may stay there for its life span, while phones like the Galaxy J7 Crown, for instance, may never get anything higher than what they shipped with, hence Samsung's 1.3 updates average. Let's not forget also the number of handsets Samsung has had to upgrade since it started making Androids, more than a thousand, while manufacturers like the runner-ups OnePlus or Nokia, only have 10-30 to take care of. Long story short, if you are happy with your Samsung flagship, software updates probably won't be a deciding factor whether you'll grab its successor(s), too, especially considering that it's now Google that is playing feature catch up with Android makers' overlays, not the other way around. Yeah Samsung is bad! The best are Pixel and Apple products. The bittersweet truth! Pushing updates to fix what the last update broke only to break more stuff. Considering how bare bones those OS's they should not have as many issues as they do. Yeah, they sure are upset that they've got the most powerful, flexible and functional mobile OS in the world. Than why are they always on Apple related articles or feel the need to bring Apple and talk s**t about it, if their precious os is so good? For the same reason Apple fans are always on Android and Samsung articles talking smack - people crave a good argument. I am both iOS and Android user ;). Yeah, the best at having to release update after update to fix the last update. Thank you Samsung for getting it right before pushing it out. @Elvis358 so that's why pixel users keep having different problems with every update. Stock android got a bad name last year courtesy of google itself. The real bitter-truth is that Pixel nowhere near Samsung's sales/capabilities with the fugly smartphone design with very little features! Better luck next time cos Samsung update time has improved a lot lately and their updates got little to no bugs! and Apple? please....their updates are to make your phone broken to force you to buy new so nothing to be excited about at all! Bad part: Samsung is painfully slow with updates. Good part: They add nice features, and never break things, requiring a fix it update. Finished installing pie this morning, and man was it worth the wait. Totally new phone for the most part...absolutely loving it. How's the gcam app on your note 9 dark? One UI is good, I say it is as smooth as xperias. To be fair with samsung, they always have security updates. I don't mind the "slow" software updates as long as they deliver it properly. Honestly, I decided wait for the pie update before installing it. I wanted everything to be in sync. I'll definitely let you know though, thanx. Smooth. Enjoy your note 9 one ui and stay safe from that cold, peachboy err polar vortex. Totally agree. Better late, but stable updates, than fast and buggy, yet featureless. How about fast and good? Haste makes waste. Good things take time. I heard different when some bitched about some phones missing what they said are essential features. That would be great. Unfortunately, it doesn't exist. Anywhere. It doesn’t exist unless you’re using iOS ;). It doesn't exist period. Samsung takes a while, but puts out a bulletproof release. Apple spends the entire year putting out bug fixes that cause more bugs. Especially as they've made IOS more complex to compete with Android.